Wikipedia is probably the best known and most controversial wiki application in existence. Wikipedia, the online encyclopedia started by Jimmy Wales and Larry Sanger in 2001, has been populated with articles written by “anyone” who cares to contribute. Since its inception, much has been written (both pro and con) about Wikipedia. Currently, Wikipedia is one of the most popular sites on the Internet, attracting approximately one in ten web surfers. This paper explores the perceptions of faculty and students at a western state college toward Wikipedia and its use as an encyclopedic source of information. A survey instrument was used to measure faculty and students awareness of positive and negative issues surrounding Wikipedia, their view toward using Wikipedia in the classroom, and their usage statistics of Wikipedia. The results of the survey are presented and discussed. Snyder, J. (2013). Wikipedia in the Academic Environment: Faculty and Student Perspectives. 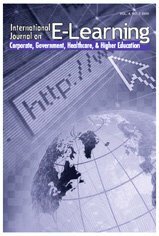 International Journal on E-Learning, 12 (3), 303-327. Waynesville, NC USA: Association for the Advancement of Computing in Education (AACE). Retrieved April 21, 2019 from https://www.learntechlib.org/primary/p/38424/.